Something this groundbreaking can only come from Harley-Davidson. The all-new Fat Bob®. Twenty-two pounds lighter, massive Milwaukee-Eight® engine power, asphalt-eating traction, a pothole-devouring suspension, agile cornering, and a take-no-prisoners look. 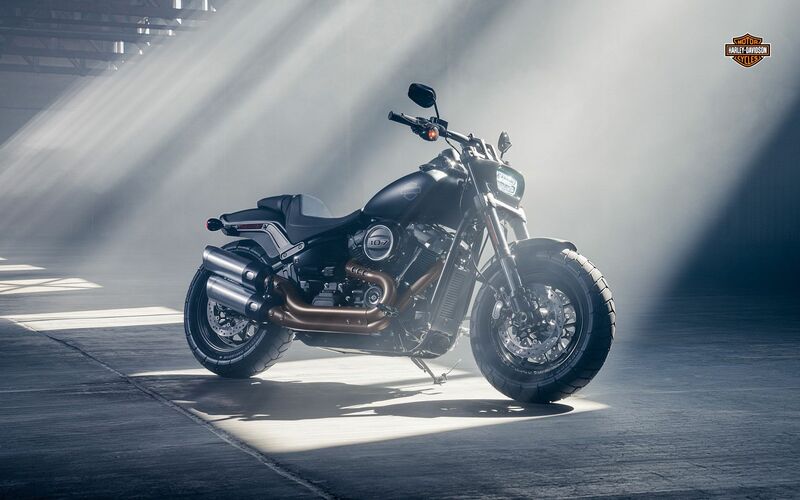 You get a 2-1-2 upswept exhaust, a never-seen-before asymmetrical tank graphic, fat tires with an aggressive tread pattern and the all-new ride of the reinvented Softail® frame. It makes you feel like you could conquer the world at high speed. Get in the saddle.